We teach some tricks that are necessary for a warm up routine for your dog. These include sit pretty, weaving through legs and spinning right and left. This also help balance and control. Paw and nose targeting will be introduced to help the dogs learn body awareness before getting them on the regulation-sized equipment. 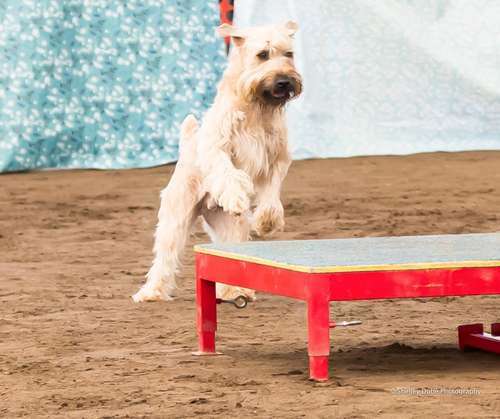 Introductory level equipment, such as low planks, tables, wobble boards, tunnels and cavalettis will allow the dog a chance to experience different obstacles and build confidence. Toys will be introduced as a way to motivate and reward the dog as well as food.